Practicing putting is one way to break 80 more quickly. While a beginner golfer’s realistic goal may be to shoot a round in the 90s, a more accomplished golfer often desires to break 80. The player that has such a goal for his or her home course has undoubtedly played well enough at times to approach the magic 80 plateau--but has come up short. There is little room for error when breaking 80, meaning one or two bad holes can doom the effort. However, breaking 80 can be done if you can remember and then execute certain things. Break up your round into smaller segments. Rather than have the pressure of scoring well for an entire round, it is advisable to divide the round into three “mini-rounds” of six holes each. When you divide the round up into thirds, for example, you can set a scoring goal of shooting a 26 for each six hole block, which brings you in under 80. Hit the fairways off the tee and the greens in regulation. Scrambling from the rough and flirting with trouble because of errant tee shots will quickly make any dream of breaking 80 evaporate. Put the driver away if you realize right out of the gate or even on the practice range that you aren’t hitting it well. By hitting it in the fairway on the par four and fives with lesser clubs you give yourself a chance for getting to the green in regulation. Don’t be too proud to choke up on some of your irons to improve your accuracy when aiming for the green. Dominate the par fives if you want to break 80. The par fives are holes that you need to play in no more than one over to give yourself an opportunity to come in with a score in the 70s. The typical golf course has four par fives, meaning that if you can par three of these and bogey just one, you allow yourself a much larger margin for error on the rest of the course. Play smart and avoid the disaster hole that can ruin a round. If you do hit a shot that goes off target, do not throw your whole round away on a wing-and-a-prayer shot out of trouble. 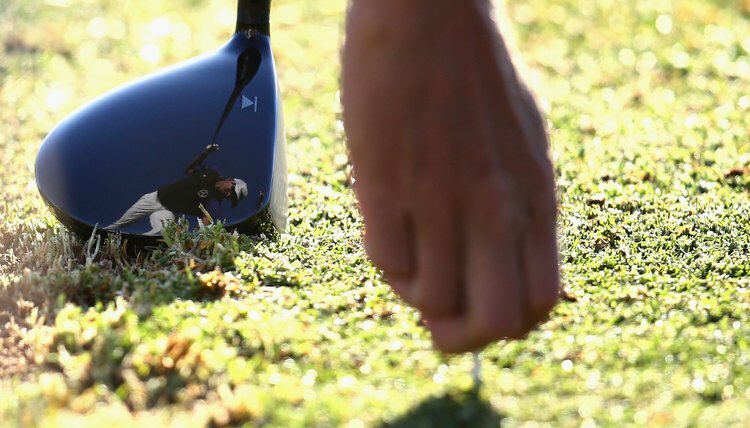 Use your head, control your emotions and hit it back onto the fairway where you can still give yourself a chance to keep the damage to a minimum by putting your next shot onto the green. Recall past successes on each hole and use this to your advantage. If you are the golfer with the skill set to have breaking 80 as a goal, then this has to mean that at one time or another you have parred and probably even birdied every single hole on your home course. Envision what you did to score well on each hole and try to replicate that success. Each golf course has that one hole that has always had your number. Have a distinct plan for that hole when you get to it, but don’t think about that hole until you are walking up to its tee box.